Do you want to learn more about memory loss? 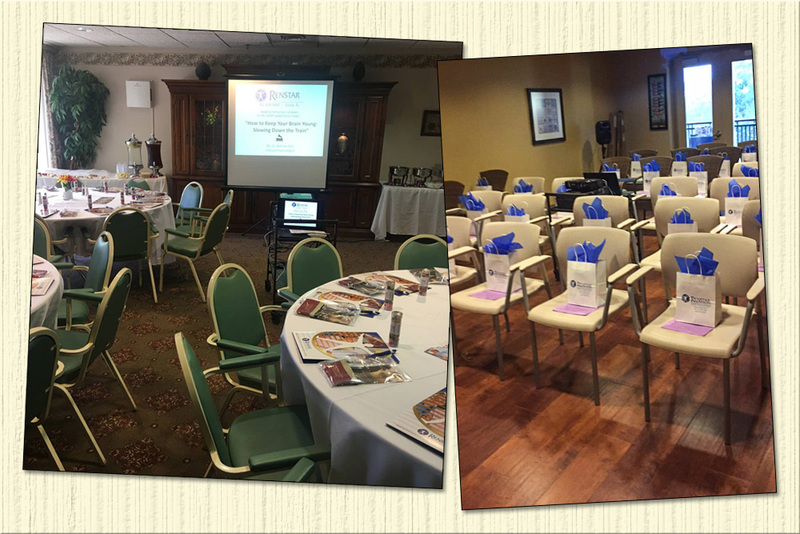 Renstar Medical Research hosts “Lunch and Learn” seminars in Ocala and in The Villages on a quarterly basis. The seminars feature a presentation with a local physician as well as with Pat Riddle who is a Certified Clinical Research Coordinator at Renstar Medical Research. Topics of the presentation include the causes of memory loss, how diet and exercise can affect your memory, and an overview of the medications used to treat early memory loss. There is also a presentation on Renstar’s latest clinical trials for memory loss and Alzheimer’s disease. At the end of the seminar, guests are invited to sign up for a free memory evaluation given by a Certified Clinical Research Coordinator. The seminars are advertised in the Ocala Star Banner and/or the Village Daily Sun and are RSVP only events and usually fill up quickly. Lunch is served free of charge. To find out when the next seminar will be held, call Renstar Medical Research at 352-629-5800.